Synopsis: Like most high school girls, Risa Koizumi wants to fall in love and have a beautiful romantic story to share with her friends. Initially, she falls in love with Ryouji Suzuki, who is a handsome boy in another class. She is primarily attracted to him because he is very tall. A boy’s height may not be a problem for any of the other girls in her year, but it is for Risa, because she reaches the graceful height of 172 centimeters, which is much higher than the average height of a Japanese girl. Unfortunately, their love was not meant to be, and Suzuki falls for another girl in her school, who was being admired by Atsushi Ootani. Risa and Atsushi soon become close friends, and an attraction starts to form between them. Unfortunately for Risa’s complex, Atsushi is only 156 centimeters tall. 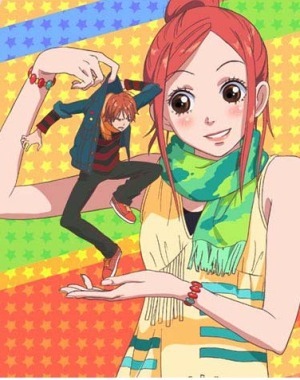 Will they be able to overcome the stereotype of their uncommon height difference, or will their Lovely★Complex be the end of their relationship?